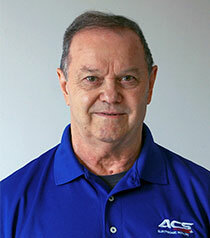 The ACS team is dedicated to your Total Customer Satisfaction. We listen, care and perform accurate, expert repairs and find whatever-it-takes solutions to your toughest challenges. Truly caring, inquisitive, resourceful, honest and eager to help, combined with years of experience, can-do expertise and a technology-driven process, makes ACS an unbeatable repair partner. Get to know us! Ellen has been with ACS since its founding as Vice President until she stepped up as President in 2017. Ellen applied her prior career skills as a marketing director to help ACS establish a highly communicative, service-oriented culture. She helps ACS attract and retain excellent talent--most employees have been with ACS for over ten years--and keeps the team aligned on the company's strong values of trust and support. 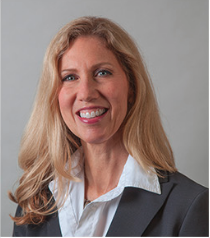 Always an advocate for advancing expertise, Ellen leads ACS into the future of electronics and electronic repairs with continual investments in capabilities and technology. She is active with regional manufacturing and robotics associations and shares her knowledge as the voice of "Sparky" in the ACS blog. 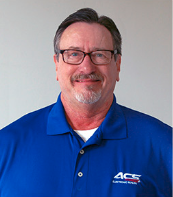 "From day one, when ACS was literally housed in a large shed at our farm, ACS has been laser focused on customer service at its best. No matter how much the company grows, that promise will be unchanged." With three sons, a rescue dog, an apiary full of honey bees and a historic farmhouse, there is never a dull moment in Ellen's life--that's a good thing because Ellen thrives on being resourceful. 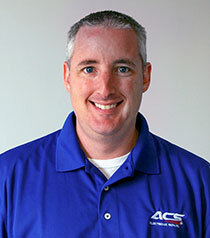 When ACS experienced intense growth in 2006, we brought in Bill Bafford, a former U.S. Navy officer and aviator, to fill the roles of Executive Vice President and Operations Manager. 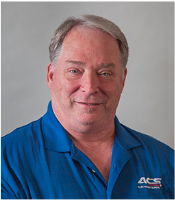 With many years of leadership, technology and operational expertise, Bill brought strong organizational skills to the ACS team and led development of ACS’s sophisticated data-driven ERP and CMS systems, affectionately called ERTIS, which track every step of the customer repair process and equipment history. Success is in the details, and as Bill says, “If you can’t measure it, you can’t manage it!” Bill makes measuring and orderliness a fine art. Bill is also well-versed in electronics repair and is often the sage voice that helps customers work through troubleshooting difficult problems. Scott’s the guy who leaves no stone unturned when searching for replacement parts for your repairs. He works closely with our vendors, in the U.S. and overseas, to get the necessary parts delivered quickly for a fast turnaround on your repair. Scott thinks like a detective and says, “I have built a great network of sources and I work hard to find the parts needed for your repair.” A former associate pastor, outdoorsman, and world traveler, Scott brings a great sense of team spirit and resourcefulness to ACS. Rebekah is our detail-focused accounting specialist. 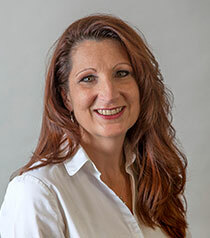 With a long history of working for large finance corporations, she is an asset when it comes to managing the financial aspects of your repair needs. Rebekah is friendly and easy going, with a passion to keep our business running smoothly. When she is not at ACS, she enjoys running, hiking and exploring new places with her family. Together, we help customers from all kinds of industries--small business to military, government and Fortune 500, and from all around the globe. Our team of expert repair technicians and customer service members are always ready and happy to go the extra mile to solve your industrial electronic repair problems. We offer RUSH service for those times when you need your equipment back yesterday. Please call us to help you troubleshoot--you'll get immediate expertise and straight up truth, so you can make the right decisions and get the best outcome for your business. 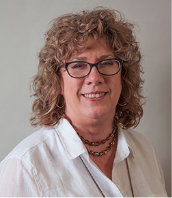 Ellen has been with ACS since its founding,as Voice President untill she stepped up as President in 2017.Ellen applied her prior career skills as marketing director to help ACS establish a highly communicative,service-oriented culture. She helps ACS attact and retain excellent-talent most employees has been with ACS for over ten years-and keeps the team aligned on the company's strong values of trust and support.Always an advocate for advancing expertise,Ellen leads ACS into the future of electronics and electronic repairs with continual invesments in capabilities and technology. She is active with regional manufacturing and robotis associations and shares her knowledge as the voice of "Sparky" in the ACS blog. "From day one,when ACS was literally housed in a large shed at our farm,we have been laser focused on customer service at its best. No matter how much the company grows, that promise will be unchanged." With three sons,a rescue dog, an apiary full of honey bees and a historic harmhouse, there is never a dull moment in Ellen's-life that's a good thing,because Ellen thrives on being resourceful.